Welcome to the Burren Way Cottages Clare. In the heart of the world-famous Burren, these charming self-catering cottages are located in the village of Bellharbour, approximately 3.5 miles (6 km) outside Ballyvaughan. For more information or to check the availability of this Self Catering in County Clare please click on the availability link above and below. 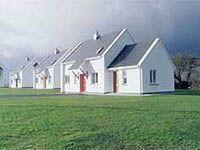 The Burren Way Cottages is in Clare, Ireland. The address is Bell Harbour, Clare County Clare.